This release includes API operations that allow you to temporarily pause email sending for a specific configuration set, or across your entire Amazon SES account. You can use this feature to automatically pause email sending when your reputation metrics cross certain thresholds that you define. 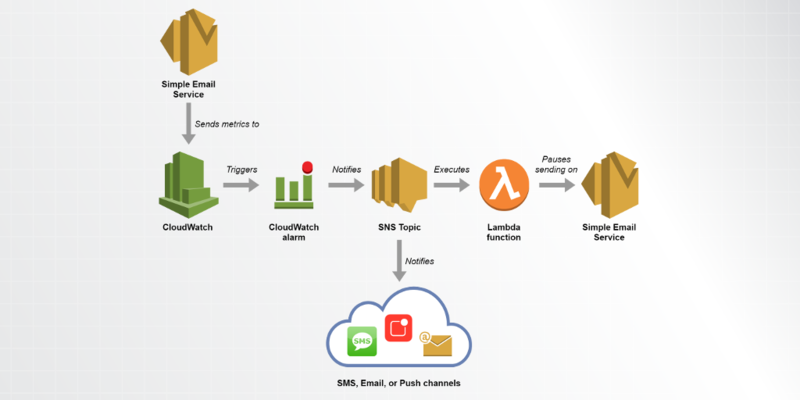 This entry was posted in AWS, Cloud, Computer, Mail, Murmuring, Network, Service and tagged account, alarm, alert, amazon, api, aws, cloud, cloudwatch, configuration, email, lambda, mail, reputation, service, ses, set, simple, sns on November 18, 2017 by Gea-Suan Lin. At launch AWS OpsWorks for Puppet Enterprise is available in US East (N. Virginia) Region, US West (Oregon) Region, and EU (Ireland) Region. This entry was posted in AWS, Cloud, Computer, Murmuring, Network, Service, Software and tagged amazon, automation, aws, cloud, configuration, enterprise, opsworks, puppet, software, system on November 17, 2017 by Gea-Suan Lin. This entry was posted in Computer, Murmuring, Network, Security, Software, WWW and tagged apache, aws, config, configuration, elb, haproxy, hsts, mozilla, nginx, ssl, tls on April 19, 2015 by Gea-Suan Lin.